This month the Dutch Air Force 313 squadron, flying the F-16A, based at Twenthe AB exchanged with the Italian Air Force 23 Gruppo based at Cervia AB (they just moved from Rimini), flying the F-104S/ASA. It was a 2 way exchange. 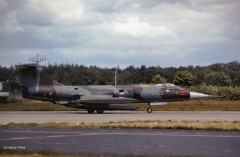 On 18 May two Starfighters (MM6771/5-31 and MM6849/5-33) landed at Twenthe AB for a pre-exchange visit. 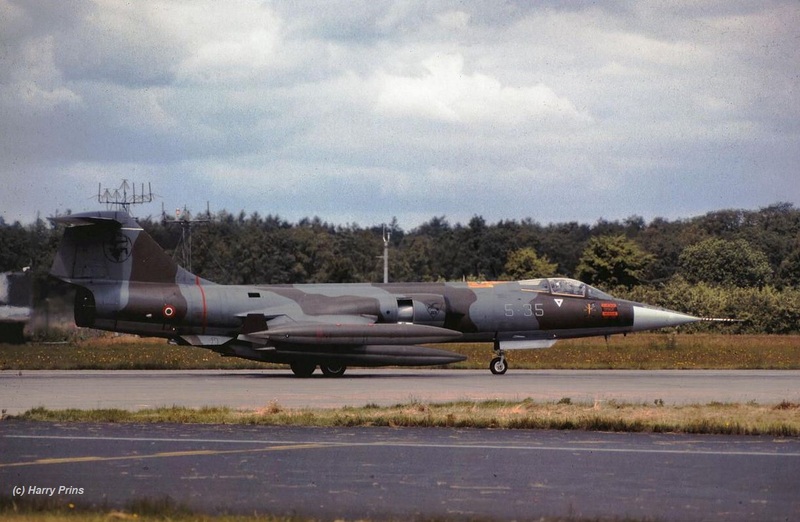 The aircraft 5-31 encountered problems and had to stay at Twenthe AB for repair while the college (5-33) flew back to Italy on the next day (19 May) in the late afternoon. On 22 May the aircraft 5-31 was fixed and flew back home as well. The participating aircraft during the squadron exchange were MM6762/5-37, MM6771/5-31, MM6849/5-33 and MM6920/5-35. Photo beneath shows MM6920 code 5-35 during take off at Twenthe on 22nd June 1995. This year the Turkish Air Force 172 filo, flying the F-4E, based at Erhac, exchanged with the Italian Air Force 21 Gruppo based at Cameri, flying the F-104S/ASA. It is unknown if it was a 1 or 2 way exchange but at least the Phantoms flew to Italy. This year the Hellenic Air Force 337 mira, flying the F-4E, based at Larissa, exchanged with the Italian Air Force 10 Gruppo based at Grazzanise, flying the F-104S/ASA. It is unknown if it was a 1 or 2 way exchange.